This is the story of Henry Ware, a young boy living in the wilds of the Kentucky frontier of the 1700’s. 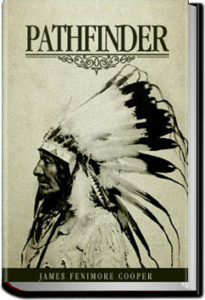 The story follows Henry as he helps to establish a frontier outpost, is captured by an Indian tribe, and ultimately ensures the safety and security of a band of settlers against the warring Shawnee Indians. 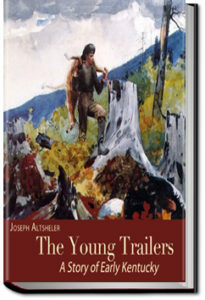 The Young Trailers is action packed and brings to life the adventures that awaited the early settlers as they traversed into the endless forests of the American frontier. This entry was posted in Action/Adventure Books and tagged allyoucanbooks.com review, free audio books online, free audiobooks, free books online, free ebooks download, unlimited action and adventure books, unlimited audiobook subscription on May 29, 2018 by allyoucanbooks. The Log of a Cowboy is an account of a five-month drive of 3,000 cattle from Brownsville, Texas, to Montana in 1882 along the Great Western Cattle Trail. Although the book is fiction, it is firmly based on Adams’s own experiences on the trail, and it is considered by many to be the best account of cowboy life in literature. 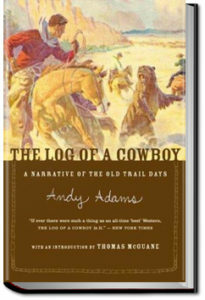 Adams was disgusted by the unrealistic cowboy fiction being published in his day; The Log of a Cowboy was his response. 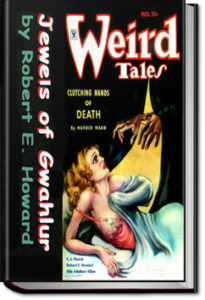 It is still in print, and even modern reviewers consider it a compelling classic. This entry was posted in Action/Adventure Books and tagged allyoucanbooks, audio books free download, ebooks, free audio books, free books, free online audiobooks, free online books, unlimited action and adventure books on May 12, 2018 by allyoucanbooks. Conan The Barbarian is after fabulous treasure in this exciting story. But he finds himself in more difficulties than he had counted on. Crafty and powerful human opponents seek to skin him alive, bestial mutations seek to rip his arms off, denizens of the deep want to devour him whole and scantily clad dusky beauties try to waylay him at every step. And all of this to find the Jewels of Gwahlur, the most fabulous treasure every hidden in a secret temple. Has Conan finally met his match? Will his evil enemies or the seductive women finally succeed in making him beg for mercy? This entry was posted in Action/Adventure Books and tagged allyoucanbooks, audio books free download, ebooks, free audio books, free books, free online audiobooks, free online books, unlimited action and adventure books on May 11, 2018 by allyoucanbooks.